Charities and churches can find several Free Church Website Templates to build new websites or spruce up their old websites with modern features. 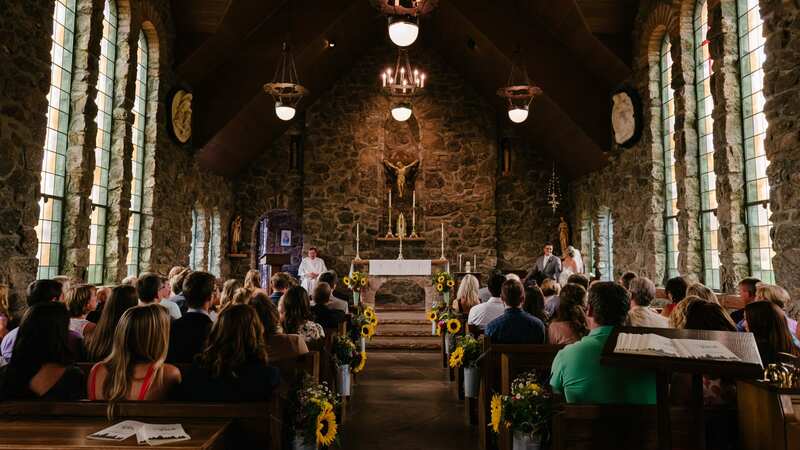 The templates that we’ve selected below will let you add church news and Sunday church events; they have donate buttons which you can use to request donations, and many other features that are tailored for religious websites. 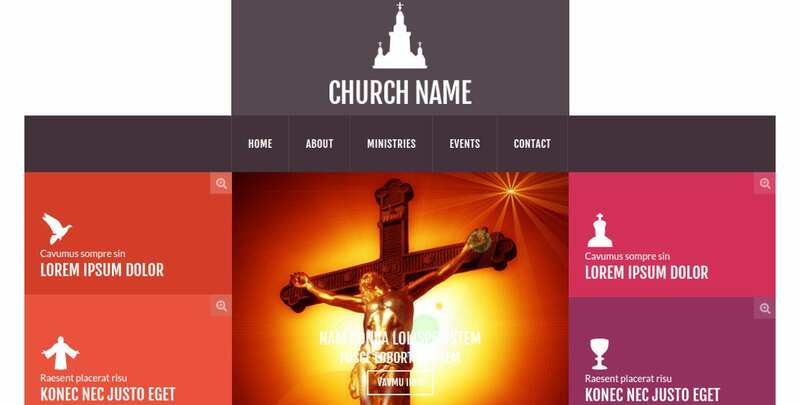 The Church HTML Templates and WordPress themes below are responsive and mobile friendly for the modern day church. Church is a free template that is highly popular with over 9000 installs since its release. It is a Responsive HTML5 Theme of the popular bootstrapped Omega parent theme. This means that it inherits parent theme properties. Features include widget areas, a big footer area, custom footer and colors, custom widgets, WooCommerce compatibility, etc. The Malaka Church theme is a free bootstrapped template for WordPress with custom post types that religious sites will find useful. 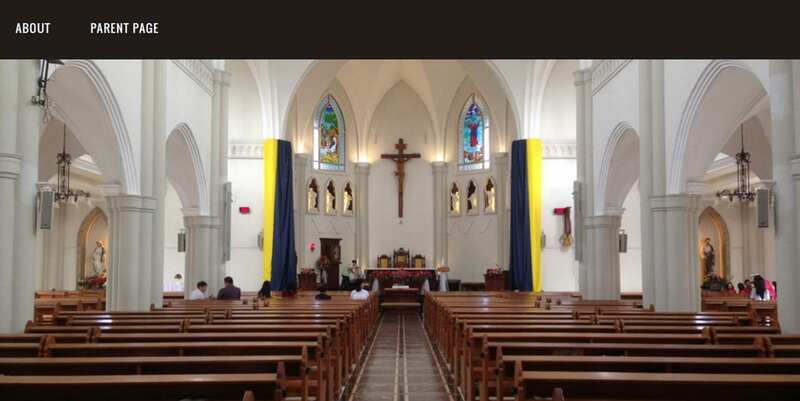 The theme lets you upload sermons, events, services etc. very easily through the admin panel. You can add important slider images and information to display them at the top of your homepage, quickly add Bible quotes, customize banner ads and a lot more. 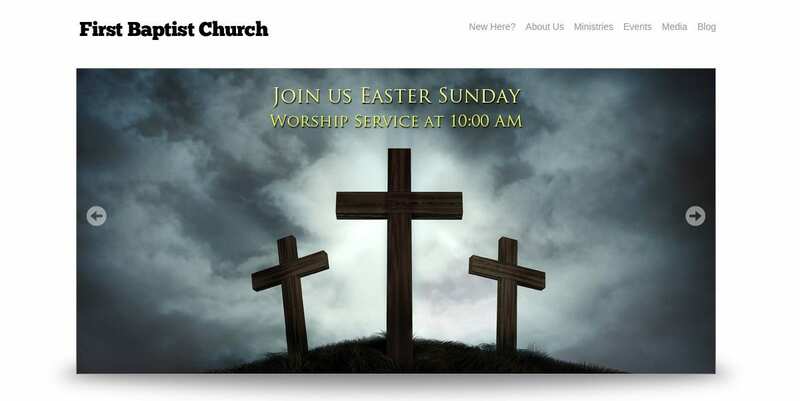 This simple and friendly Drupal Religious Theme with a dark color scheme, designed by Share Faith, will help you inspire your community and keep it informed about church events. 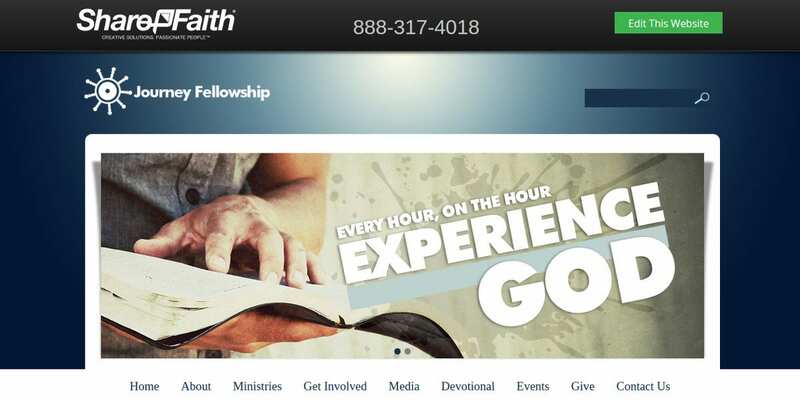 The theme features a slider, social sharing icons, a donation button, a search box, neat tabs to premade pages like About, Ministries, Media, Events, Contact Us, and other pages. 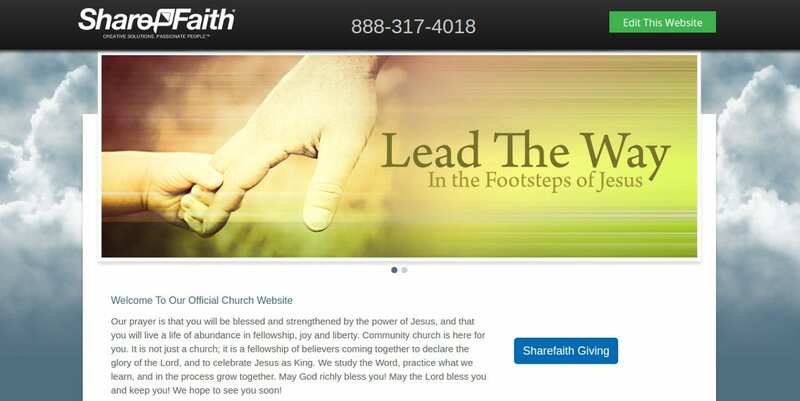 This theme is yet another free offering from Share Faith with a lighter color scheme and a warm, light typography. Features include a donation button to encourage your audience to donate, a slider where you can announce events, several predesigned pages that you can quickly fill with suitable content without having to write any code, and more. 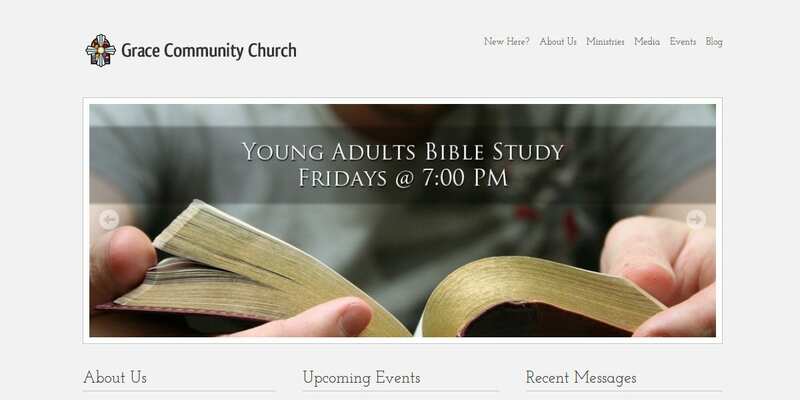 Green Grunge is a free WordPress Church Theme designed for young churches. It has a bright and textured green background and a grunge border around the slider on the homepage. The theme lets you upload your logo, share sermons and audio messages through the inbuilt media player, maintain an events calendar, customize the slideshow, create dropdown menus, etc. This free theme, a third offering from Share Faith, features a beautiful textured wood-grain background combined with warm and welcoming color accents and typography. As with the other themes, it includes a donate button, smooth scrolling, a slim footer area where you can link to other areas of the website, a slider, etc. 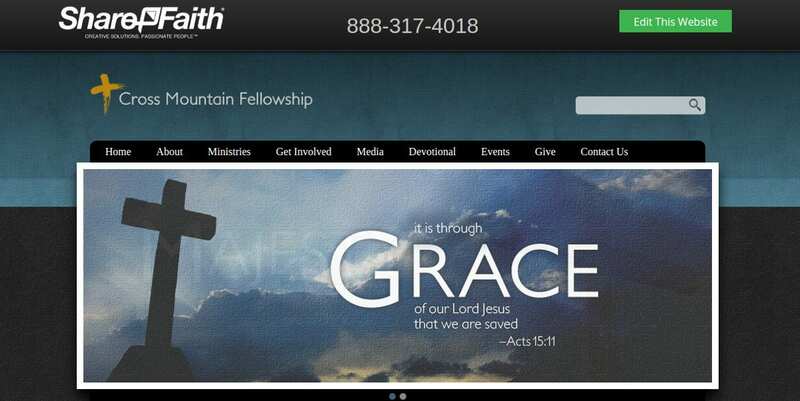 This is a classic and simple gray theme with all the features that you would need for a religious website. It is free and includes an events calendar that automatically clears up when the event is over, a three column layout, alternate accent and font color schemes, custom post types for audio files so you can quickly upload sermons, and other features. This is yet another simple WordPress theme with an image slider that you can customize through the WordPress Theme dashboard. It contains an events calendar where events are displayed in order of date and time, an option to upload your own logo, and more. The color scheme is a soothing white with red and black accents. There is a space for a welcoming text, an area where you can link to sermon audios, and header and footer navigation menus. It is a responsive and bootstrapped theme with a bold and attractive color scheme. The template has been designed with HTML5 and CSS3 and has a clean and high-resolution flat design, which means it is uncluttered and practical. The theme uses a grid system and you can customize it as you like. This theme has a calming blue and white color scheme with a beautiful gradient effect on the background. You can upload images and text in the homepage slider and place a call-to-action button where visitors can offer donations. You can maintain an events calendar, share a photo gallery, contact form, and other useful features. As you can see in the above list, the high quality free Spiritual Website Templates meet the standards of custom-built websites tailored by website developers. All the themes on the list above are responsive, which is essential for modern websites. They can be used not only for churches but also for charities, non-profit organizations, and similar purposes.